Would you rather try a case in the great outdoors or in a stuffy, windowless courtroom? | Jon Katz, P.C. Would you rather try a case in the great outdoors or in a stuffy, windowless courtroom? Apr 07, 2013 Would you rather try a case in the great outdoors or in a stuffy, windowless courtroom? When I appear in stuffy, windowless courtrooms — some of which include portraits of unsmiling judges — I imagine I am instead in the beautiful outdoors with John Coltrane playing in the background, and Zippy the Pinhead reminding me to put things in good perspective. Plenty of jurors might feel more confined than that in the courthouse, all the more confined by being away from their daily routine, work, and families while in court. In Superior Court recently, I told a client, while waiting to get his case dismissed, that this courthouse has the most negative energy feel of all courthouses I visit, and he agreed. If I feel that way in this courthouse, how do clients and jurors feel, who are there not by choice, as I am? This past weekend has been sun kissed, with cherry blossoms about to burst open at the Tidal Basin near the Martin Luther King, Jr., and Jefferson Memorials, and with miles of trails and waterways beckoning to be hiked and paddled. 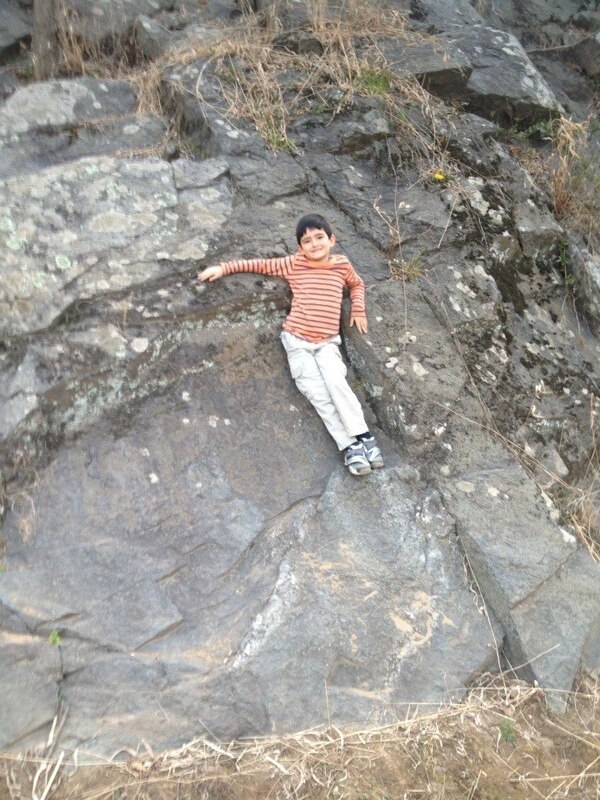 My son is now seven, and he shares my love for the Billy Goat trail, pictured above. This very rocky trail in Potomac, Maryland, overlooks the Potomac River and has beautiful sights and sounds, including the robins that escaped our camera before they could be photographed.